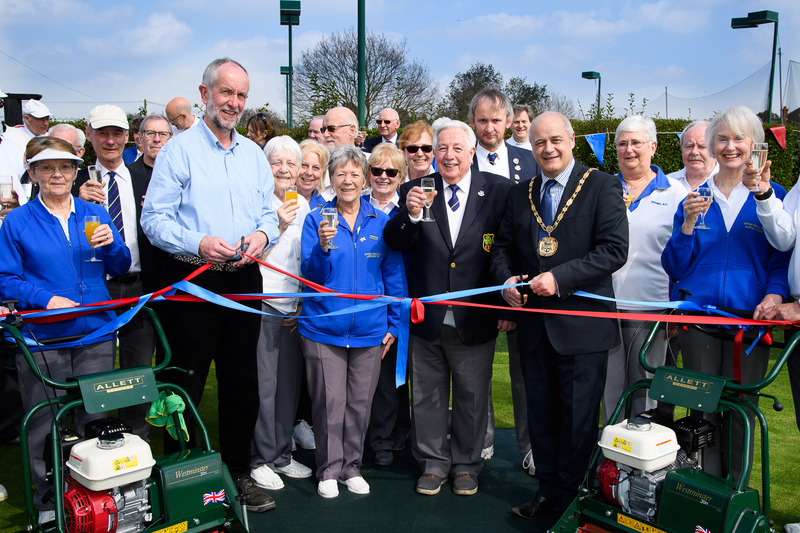 The 2019/20 season has just started with the green officlally opened by Cllr Ricki Gadsby, Deputy Chair of Council on Saturday 13th April. 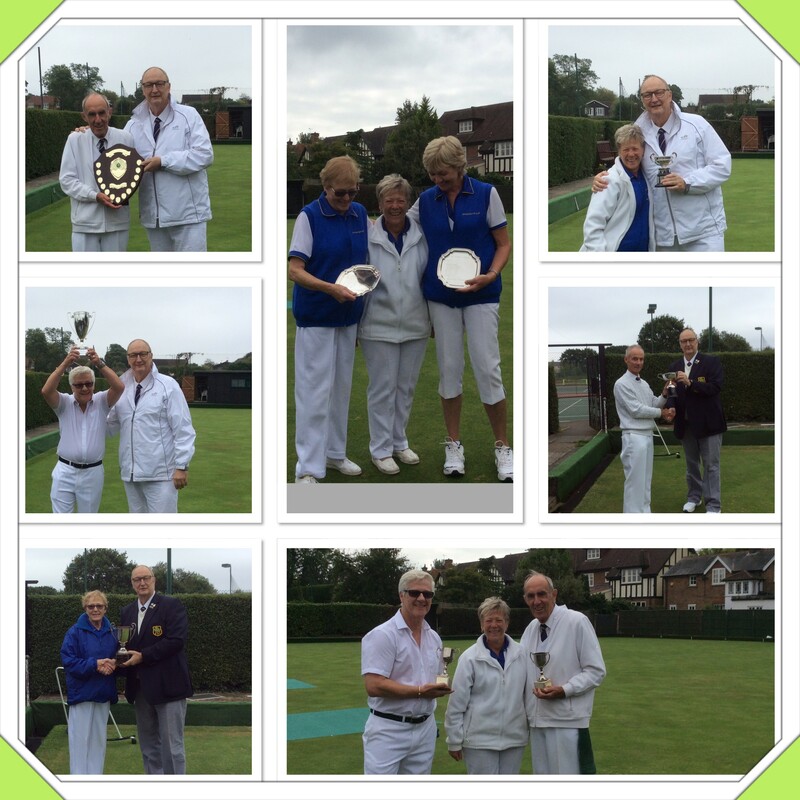 Although the weather was 'brisk' a competitive afternoon of bowls was enjoyed by all. 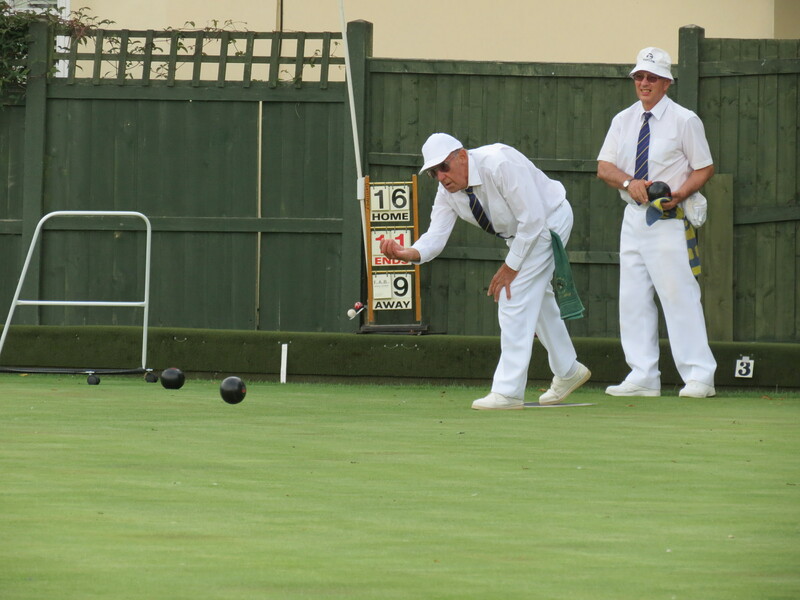 Epping Bowls Club is keen to attract new members for this season April to September 2019. 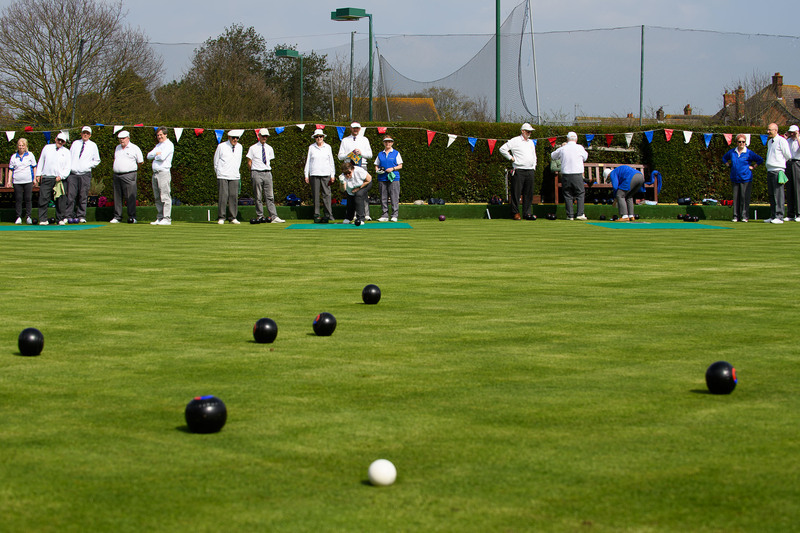 For anyone interested there will be the opportunity for you to try out bowls. Just wear flat soled trainer type shoes. The 2 "Come and Try" days are April 30th and May 12th between 10:30 and 3:30. You will be welcomed and given some 'coaching' on the day - give it a try. The club also kicks off its busy social season when Elvis will be in the building on Friday the 26th April. These events are always very popular and extremely varied. 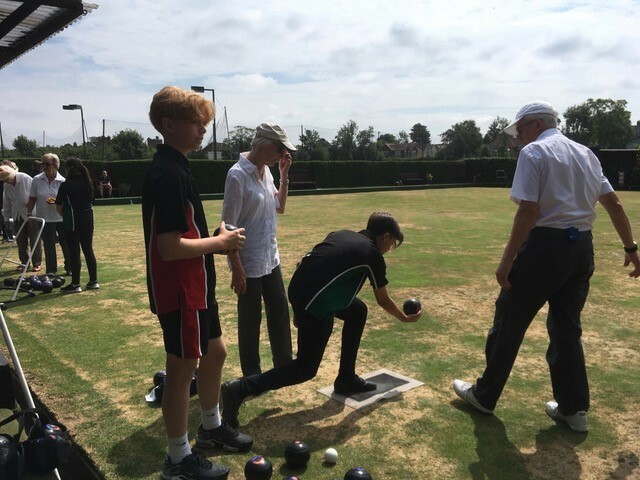 Who said bowls was only for the old? 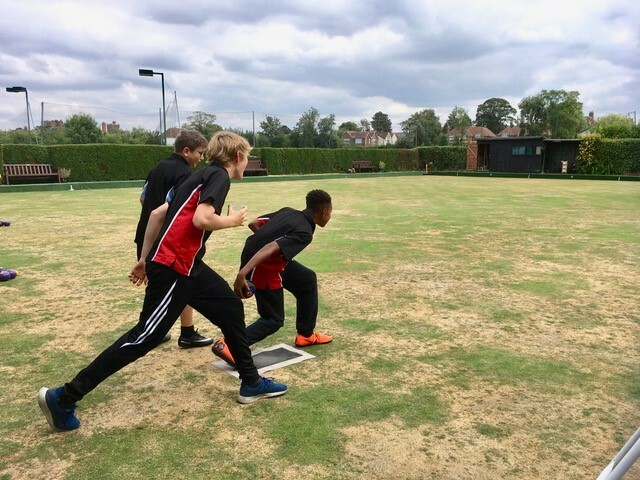 The opportunity to try something new fitted neatly into the school’s plans to offer alternative sports to students at the end of the school year. 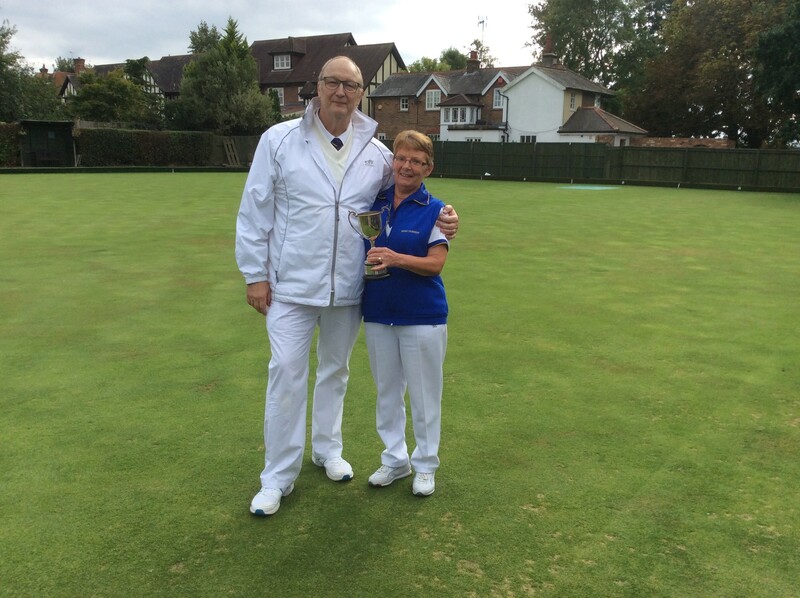 Tom McGarr, Head of Sport, said: “We were delighted to be invited by Epping Bowls Club earlier this year and this was a ‘first’ for us both. 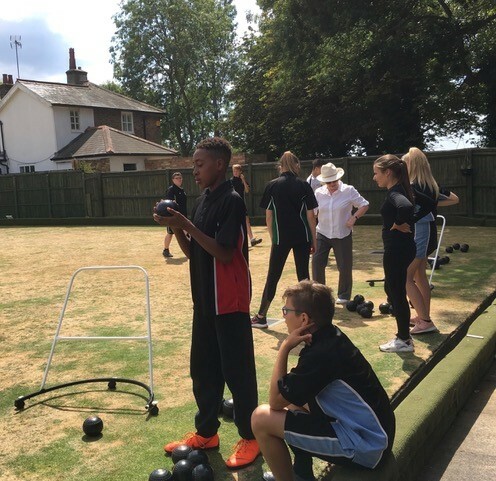 Men’s Captain Ron Perryman said: “It was a pleasure to entertain Epping St John’s pupils to play bowls. 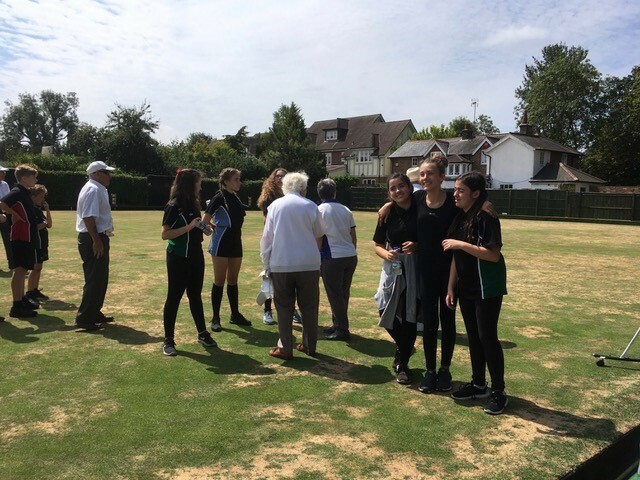 They were enthusiastic and several showed lots of promise in a short space of time. We would like to do it again and hope we can establish something during our season April to September." 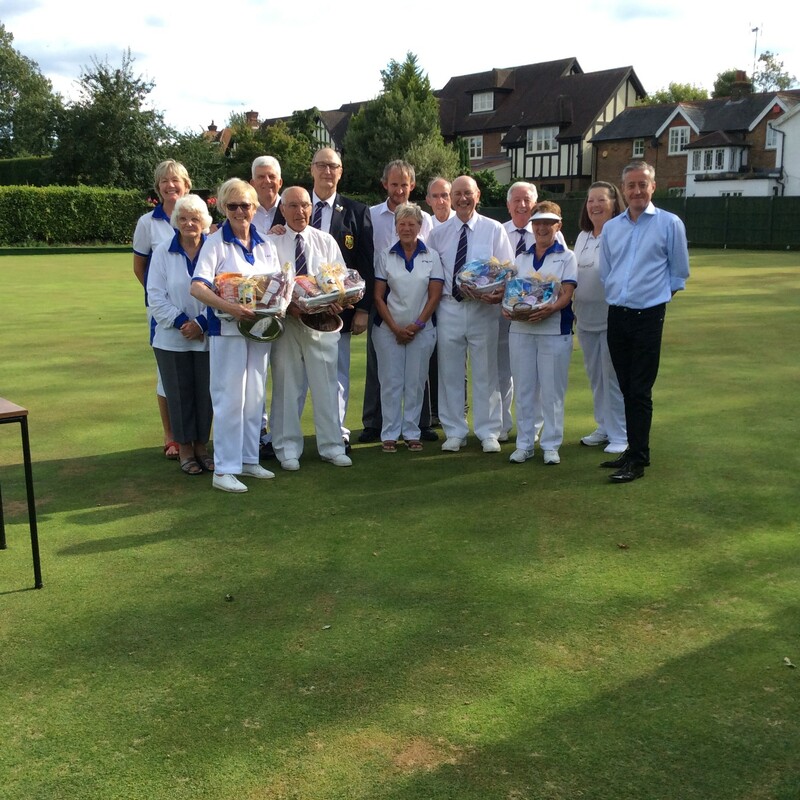 Epping bowls club has been in existence since 1911. 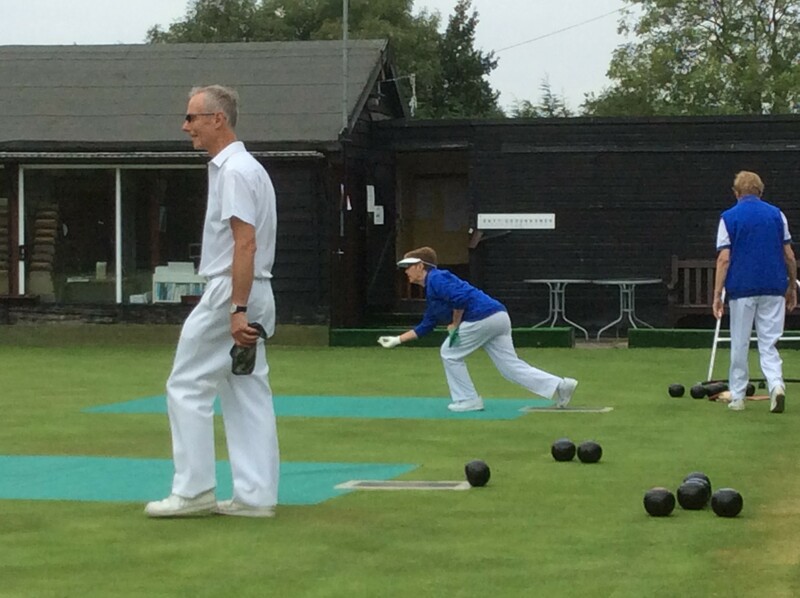 There are both Ladies and Gents sections and lots of mixed friendlies throughout the season. 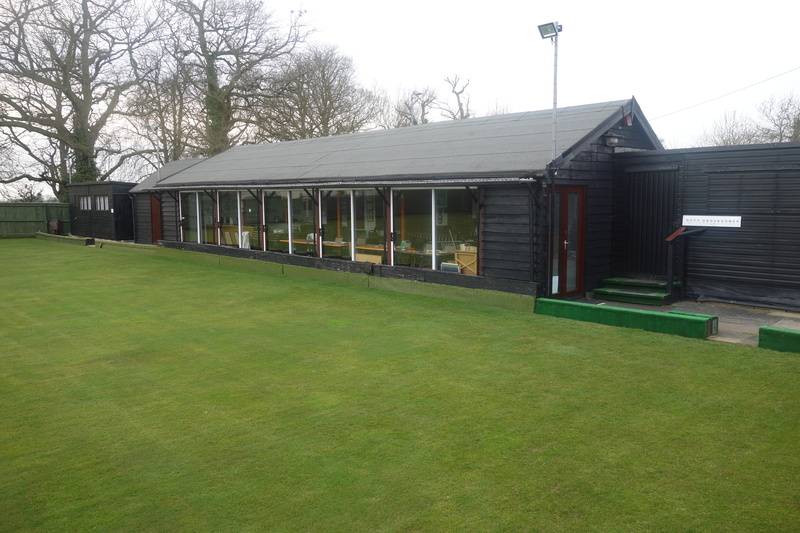 The club can be a base for beginners, social members and for those who wish to play in more competitive competitions within the county. 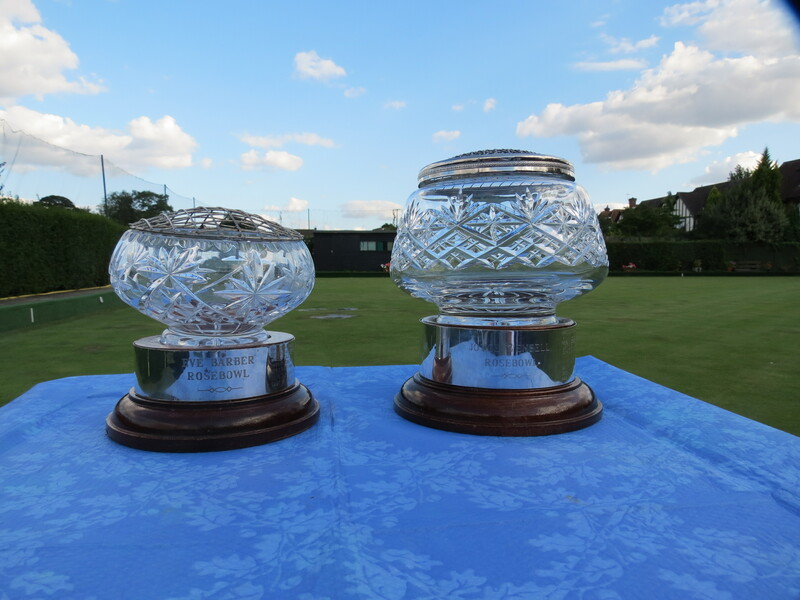 Club members are encouraged to play in some of the in-house club competitions with the silverware being presented at our annual dinner leading up to Christmas. 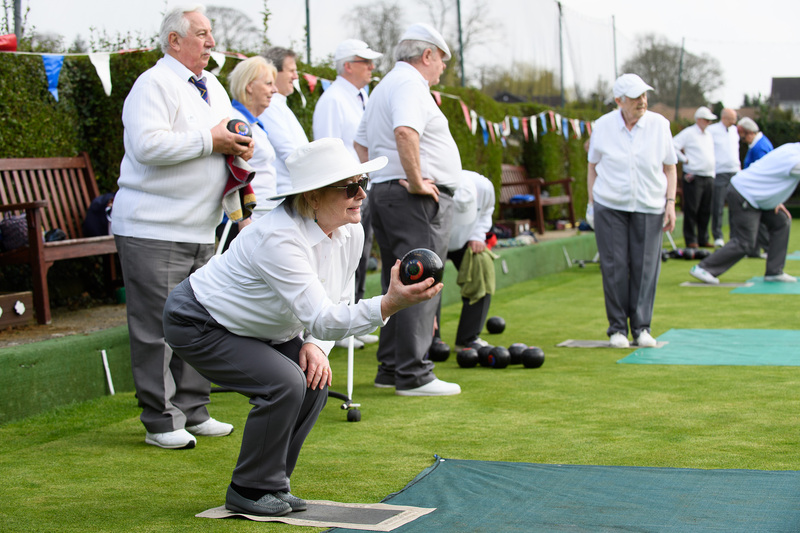 There are also several social nights to attend throughout the outdoor season. The club has a reputation for being a warm and welcoming group and we are especially proud of this. 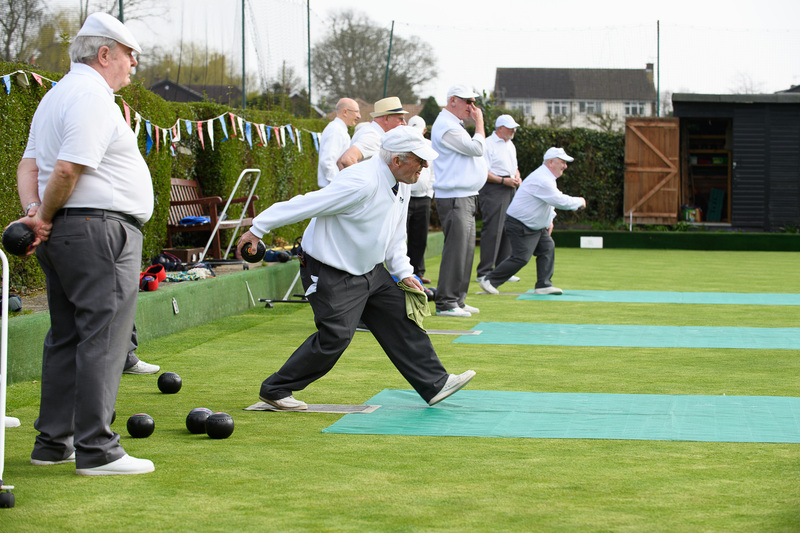 Bowls is a social game but like all sports, can have its competitive edge. If you are a beginner, you can take advantage of our coaching sessions and as you progress, you will be exposed to more competitive matches. Whatever the result, you can debate it at length while using our bar and canteen facilities. There are sets of bowls for you to use until you make your mind up which type suits you best. We have an inexpensive dress code which is relaxed after 17:00 for casual roll ups if there is no other official match in progress. 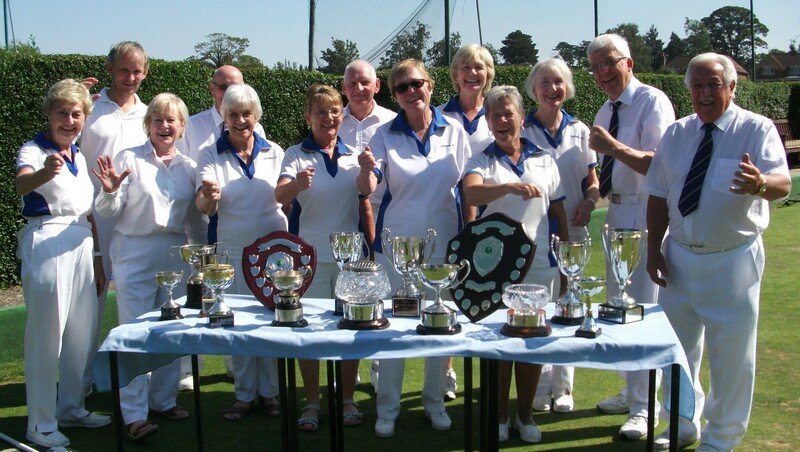 The club is run and managed by the committee made up from its members. 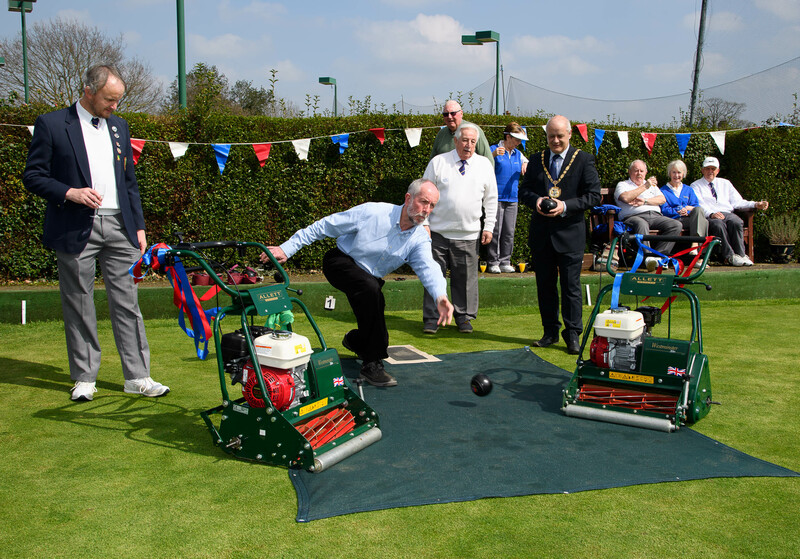 Everyone though has a part to play in keeping the grounds playable and maintaining the facilities. 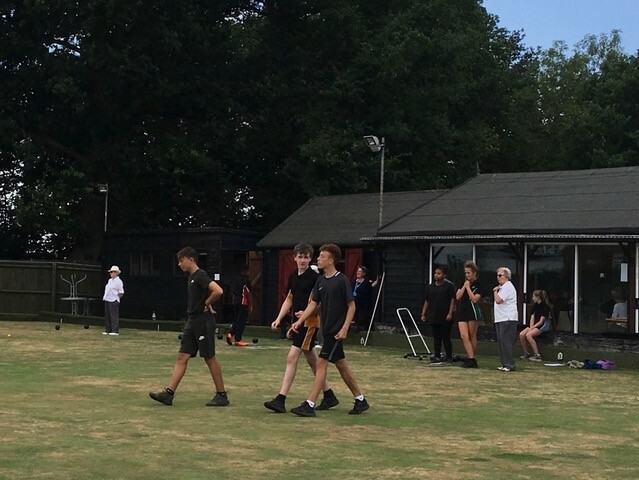 If you feel you would like to contribute to keeping this wonderful and traditional club alive in Epping, please go to our contacts link above and let us know. We are delighted to announce a cash boost from the Tesco Bags of Help initiative. 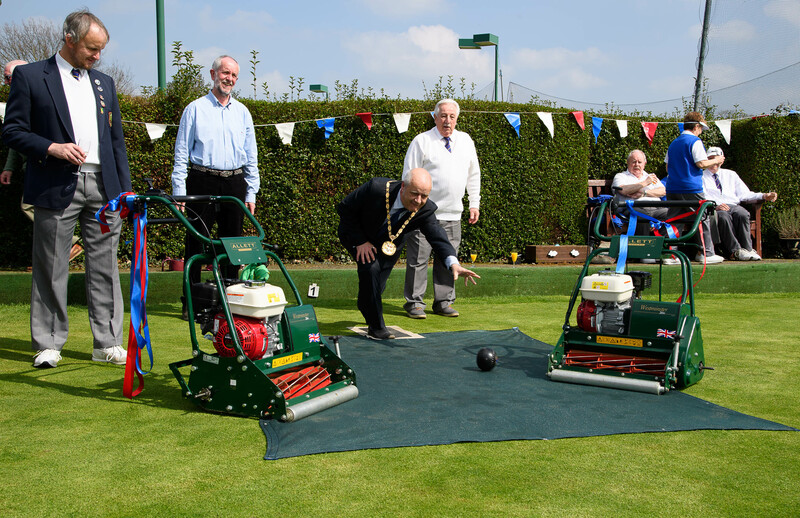 The Club was chosen as one of three local projects to benefit from the scheme which ran throughout November and December. Customers were urged to put blue tokens in boxes supporting local projects, every time they shop. Thanks to Epping Forest District Council and The Grange Farm Trust.